We are heading to Disney in Fall 2016. Yes, I know that’s a year a way. To be exact we are 380 days from departure! But I have found that if I plan out a Disney trip over a year or 18 months and chip away at the cost each month I can do it. I think what makes most family vacations impossible is the cost. And when you try to plan a huge vacation in just a few months that cost can be overwhelming. Now that we are just over a year out I like to start getting the practical things we need for our trip. And while I was doing some research for another article I cam across these ADORABLE Disney themed travel bags at Walgreens! From what I can tell it appears Walgreens has a relationship with SOHO Beauty and they make Disney themed travel bags. Currently the theme out is princesses and they looked like they were only available on line. When I first saw them I knew I just had to have the Elsa train case but I’m trying to conserve money so I walked away. But I couldn’t stop thinking about it. This morning I bought it! Isn’t it beautiful! I know I will be able to keep all my cosmetics in there when we go. There was also a smaller bag that I bought too. I thought it would be perfect to keep in my park bag with the essentials like chapstick, a few band-aids and some other small items. 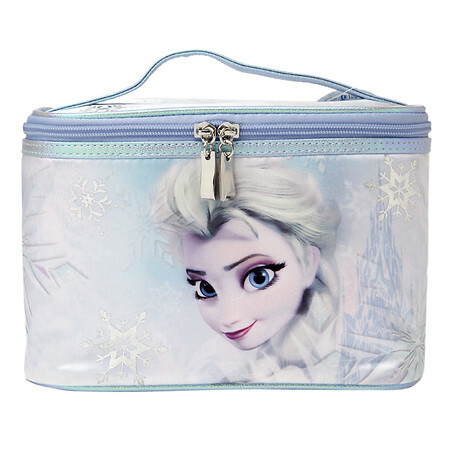 There were other size Elsa bags as well as several different styles of Disney bags too. If you are over the Frozen movement have no fear! 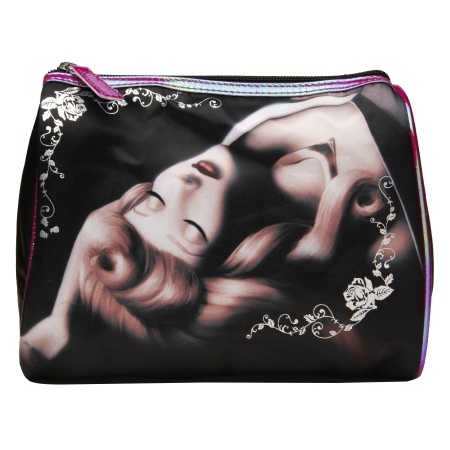 There were also bags with Jasmine and Aurora on them. 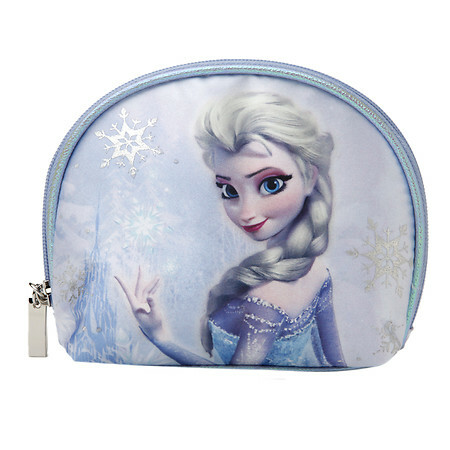 I like the large Good VS Evil Clutch but I had already bought Elsa so I passed on it. I figure since we are traveling right around the Christmas holiday Elsa was a perfect choice! 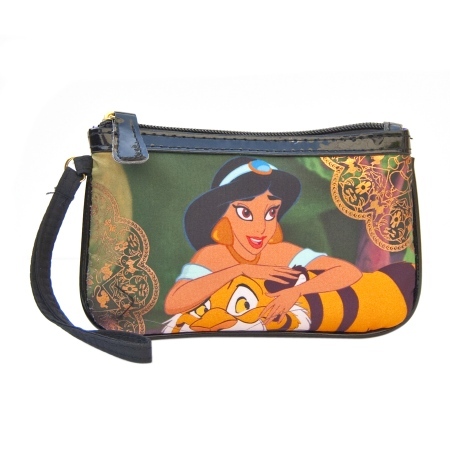 The SOHO Beauty Princess Jasmine wristlet is perfect for everyday use as a wallet or for taking into the parks. It’s big enough to keep your cell phone, credit cards and a few small items close at hand at all times. This would also be a perfect stocking stuffer for those Disney lovers you have on your list. When I saw these adorable bags I just knew I had to share it with everyone! These are prefect for any Disney enthusiast you have on your Holiday gift list this year.